Untitled was originally displayed on billboards all over New York City. Felix Gonzalez-Torres always attempted to imbue a sense of activism in his work, and this piece is no different. 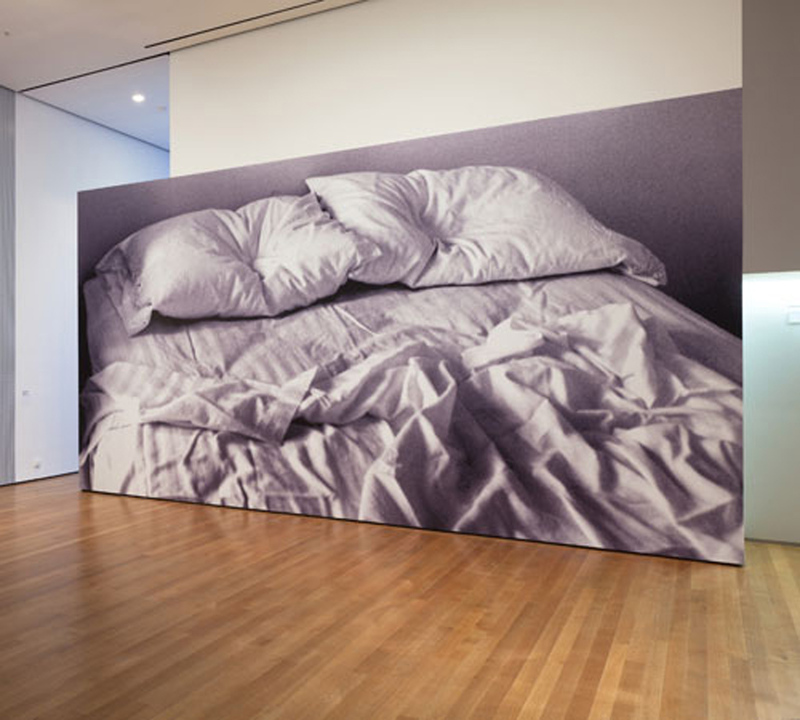 As a member of the homosexual community in the 1980s, Gonzalez-Torres was affected and influenced by the horrors of the AIDS epidemic, and many of his installation works are thought to reference themes of dying and loss.This large photograph shows a slightly unmade bed, the two pillows at the center have indents in them as though the inhabitants were just there. The scene is tranquil, but also unsettling. What happened to the couple? Though you can now go see this work in a museum, the originals were put up as billboards all over New York City. When a lot of the publicity surrounding the AIDS crisis was meant to empower people to get tested by using the visual cues of propaganda (in a good way! ), this image shows the more personal side of the experience. Not having lived through this era, I can only imagine the sense of shock and hopelessness at the sheer number of lives that were so suddenly lost. The empty pillows are a tragically poetic way of reminding the bustling streets of the boroughs that above the noise and speeding traffic there are people rapidly disappearing due to this disease. I only wish more city billboards would inspire deep thoughts instead of showing you what radio DJs look like or telling you how far until the next McDonald’s.